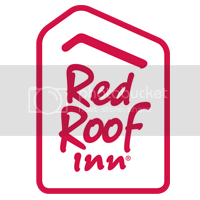 During 2014, I will be traveling a lot, visiting quite a few Red Roof Inn’s from San Antonio to Chicago to Naples. I will also be traveling to visit my family in Charlotte, NC and Venice, FL as well as taking a vacation to one of my favorite places in the United States also known as the place “Where Dreams Come True”. With all the traveling I’ll be doing, these apps will help keep me on track. This is a GPS app that helps you beat the traffic. It will show you the best ways to get to your destination and avoid current traffic. People using the app can report traffic jams, accidents, police on the side of the road, gas prices, and road closures. It is nice when you are in an area you are not familiar with because it helps you avoid being stopped by traffic. This is app is similar to most weather app; I just really like it because it shows really pretty pictures of the city you are in from flickr. It also shares the current temperature and temperatures for the next couple days. You can track storms using the radar map and perception through out the day. Checking the weather before traveling is super important to make sure I am packing the right clothes. It is really chilly in Columbus today so I decided not to screen shot our temperatures(Maybe if I don’t see it is not really 11 degrees)! This app shows local restaurants in the area, no national chains. When I am visiting a city, I always like to ask locals where they like to go to eat. As much as I might like Applebee’s or Chili’s are really like to try local food when I am in a new city. LocalEats recommends great local restaurants. It will also tell you what kind of food they serve, if they have received any awards, and the price range. This app is awesome for airport travel. You can are able to see all the amenities in any airport and what gate they are located in. This is awesome when you are looking for a good meal during a layover. They also have a map and all up to date flight information. They say “a picture is worth a thousand words” and when I am traveling I really like to share what cool things I am doing with my friends back home with my pictures on Instagram. I also love seeing what everyone else is doing! This is not technically a travel app, I just like to document my adventures! These are pictures some of our guests have shared with the hash tag Red Roof Inn.